Colour. It’s everywhere around you. It’s in your clothes, your food, your home, and more. It brightens up your day and can make it seem like you’re living in a world that isn’t all that monochrome, and it’s something technology can work with. Computer and phone makers tend to embrace better displays than they once did, and some of them are now capable of showing immense colour from all angles, while TVs liked those made with an OLED panel tend to make colour pop due to the blacks being so deep and off that other colours feel like they just bounce from the screen. Colour can do other things, and in 2019, Sphero’s use of colour will be to turn colour into a musical instrument, releasing what it calls the “Specdrums”. 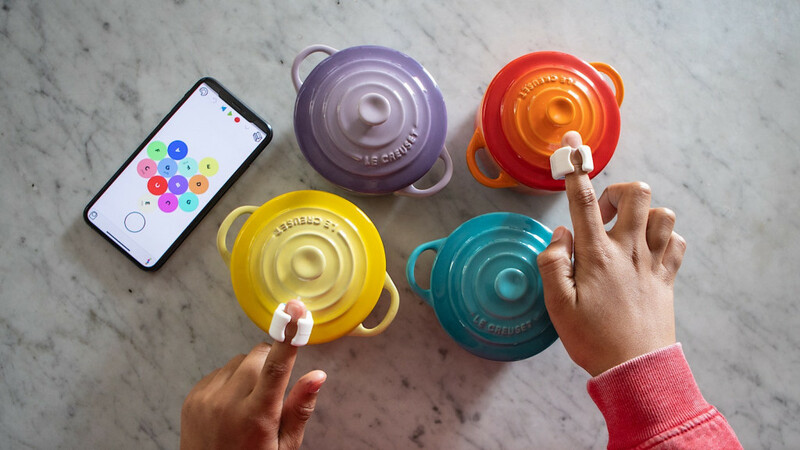 The company’s first musical instrument of sorts, Sphero’s Specdrums are sensor-enabled rings that connect to a smartphone to turn colour into sound. Specdrums use light sensors in the bottom of the rings to change colours into different sounds, be it drums, piano sounds, or something else. 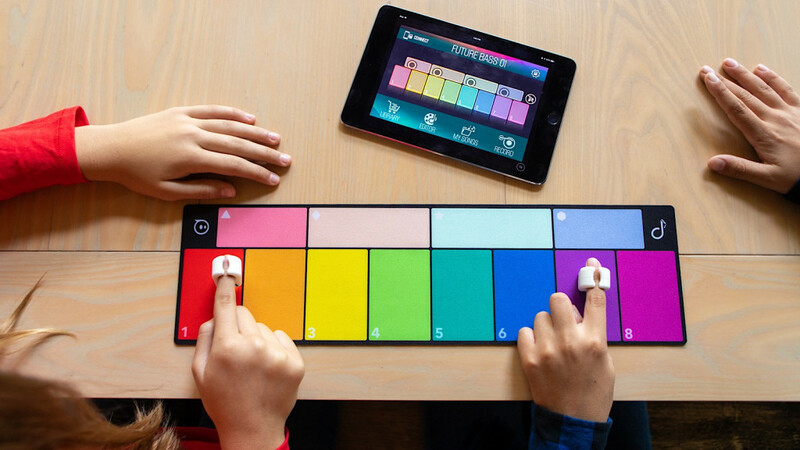 In essence, it’s a highly portable musical keyboard that senses colour and plays a sound corresponding to that colour out of a phone or tablet accordingly. Sphero’s Specdrums will come with a small multi-colour keypad to provide a base of colours to pick from, and that basically creates a scale of notes to press much like that of a keyboard, but Sphero says they can be used with colours found anywhere, meaning you might tap on the colours of red, yellow, and green capsicum or apple. “Sphero recognises Specdrums as an opportunity to engage kids at the intersection of arts, math, science and technology, building a parallel framework between coding and music composition,” said Paul Berberian, CEO of Sphero. Sphero’s Specdrums can be used by either one or two people, as they can work with one or two fingers, connecting to a phone or tablet via an Android or iOS app and mapping colours to specific sounds. What’s more, Sphero says Specdrums is also compatible with Bluetooth MIDI, giving budding musicians a potentially new style of instrument that they can play with any colours they find. 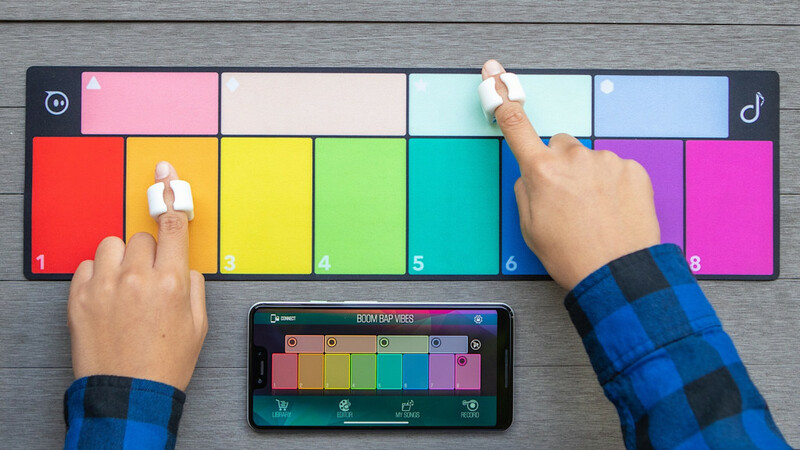 That could mean they can build their own keyboard based on colours, making it easier to play a tune, or providing a different way of playing a song. One thing we can’t tell you is an Australian price or release date, as Sphero doesn’t quite have that yet. 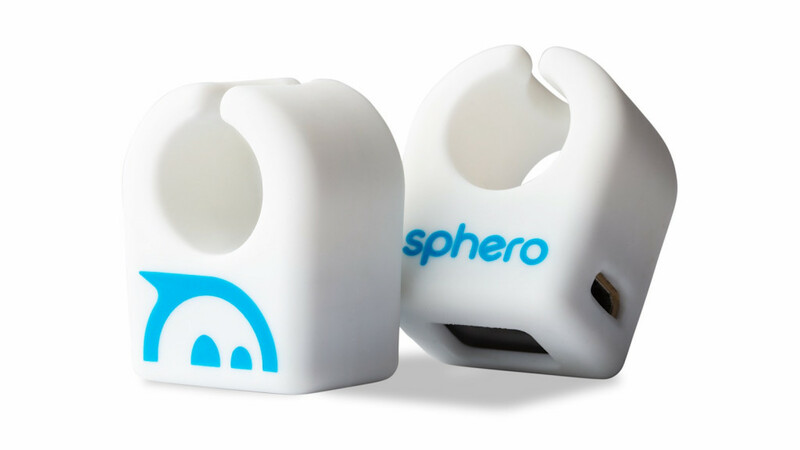 We’ve checked with Sphero’s local people on the matter, and while Sphero is shipping the Specdrums is making its way to stores within the next few months in the US for $65 for one ring or $100 for two, Australian availability information hasn’t yet been announced. We’ll let you know when that changes, though.